This saga of the old west involves twin brothers who compete for possession of a rickety cow town founded by their father while a crooked Mayor tries to put an end to the competitors so he can inherit the town himself. 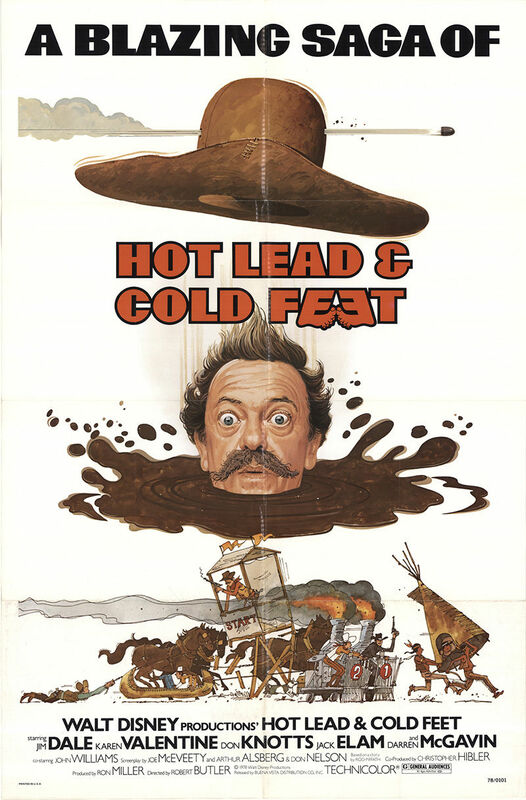 Hot Lead and Cold Feat belong with Don Knott's better films but maybe not his very best. With that out of the way, maybe Don Knotts and Jack Elam's characters could've been the most entertaining and downright hilarious pleasures to this film. The film follows the story of two twin brothers who don't know of each other's existence and are summoned to inherit a reward by their father. Complete opposites, the two brothers learn of each other and engage in a contest to win the inheritance. The film is definitely a classic for its genre and watching even at this day, is quite entertaining. However, if the audience doesn't have similar nostalgia for it as others who grew up with this family fun time, laughs may be in short supply. The script includes some unbelievable dialogue and plot holes that genuinely leave the viewer scratching their head. In addition to the sometimes cringe-worthy flaws, the movie suffers from an outrageous dependency on unnecessary slap-stick humor that becomes a little tiring. Despite the holes and obvious problems, Hot Lead and Cold Feat is undeniably a fun time and indeed quite rewatchable. Although many characters feel unnecessary to the progression of the plot, each performance is handled very well and with enthusiasm. It's genuinely fun watching these performances and it's quite impossible to refrain from smiling.